In 1746 the 18-year old Donald Livingstone (Domnhull Molach) rescued the Stewart of Appin regimental banner at the Battle of Culloden and lived to tell the tale. Even though he was shot various times. The Livingstones weren’t the traditional standard bearers for the Stewarts of Appin. That honour belonged to Carmichaels and was passed down from generation to generation. The Livingstones were body-guards to the Stewarts of Appin, all three parties supported the Jacobite cause. On the fatal battlefield where so many Jacobites lost their lives in the slaughter on the moor, eight of the Carmichael standard bearers, all carrying the first name Donald, were either killed or seriously wounded. No one was left, to carry the banner that was lying on the ground in the middle of all the blood, and dying men. 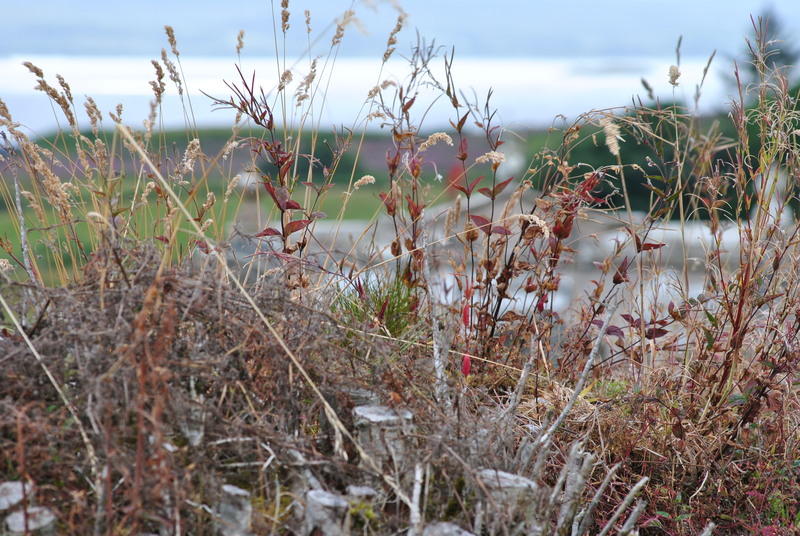 Of the 5400 Jacobites fighting at Culloden more than half either died, were injured or imprisoned. The teenage soldier Donald Livingstone had the spirit of many men that age – he was brave and reckless and probably felt invincible. Donald took action and became the 9th man of that name to carry the banner. But not the standard. Donald tore the banner off the standard and tried to flee the horror of the battle-field. Watching from a distance he wrapped the banner around his body. The young man was hit by a bullet almost immediately, but he managed to grab a stray horse, kill one dragoon and escape a second. Under normal circumstances, he would have died at Culloden but the Stewart of Appin banner wrapped around his teenage body must have protected him. He managed to make his way home to Lismore. The English soon followed. 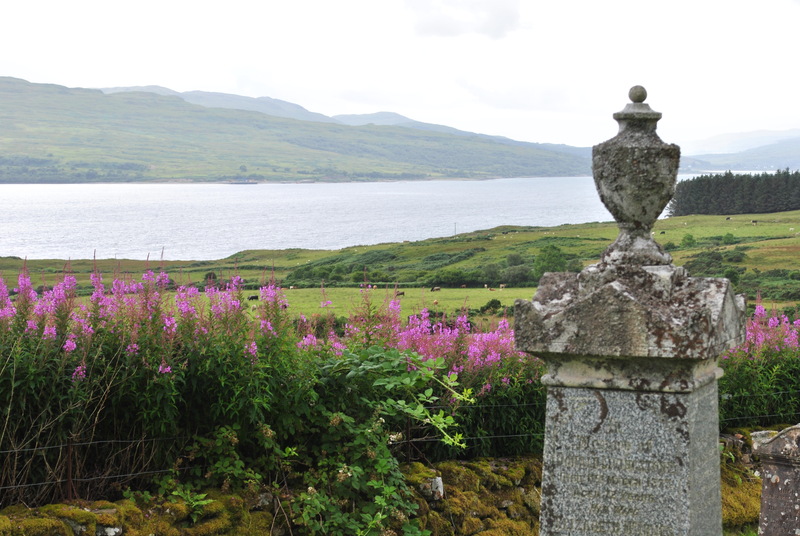 Donald Livingstone, the man who saved the Stewart colours, lived another 70 years to the old age of 88 and was buried in Lochaline churchyard on the Morvern peninsula. He had six sons and two daughters. On his death various bullet wounds (legend has it it was as many as 9) were discovered on his body. Which is exactly the number of standard bearers during the Battle of Culloden. Donald Livingstone’s story became legend and the survival of the banner a glimmer of hope in the dark days of defeat and English retaliation. The banner was the emblem of a Scottish fight as proud as it was desperate. 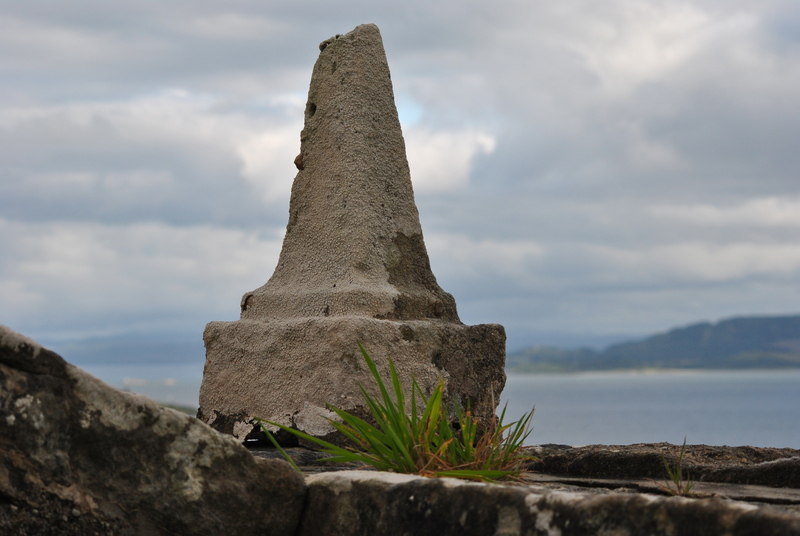 The relic is of the highest importance to the Stewarts of Appin and all those who followed the Jacobite cause. Do not miss the carved stones of Keil, some date back to the 14th century, others are of a later date but all beautifully carved and preserved in the Old Session House. 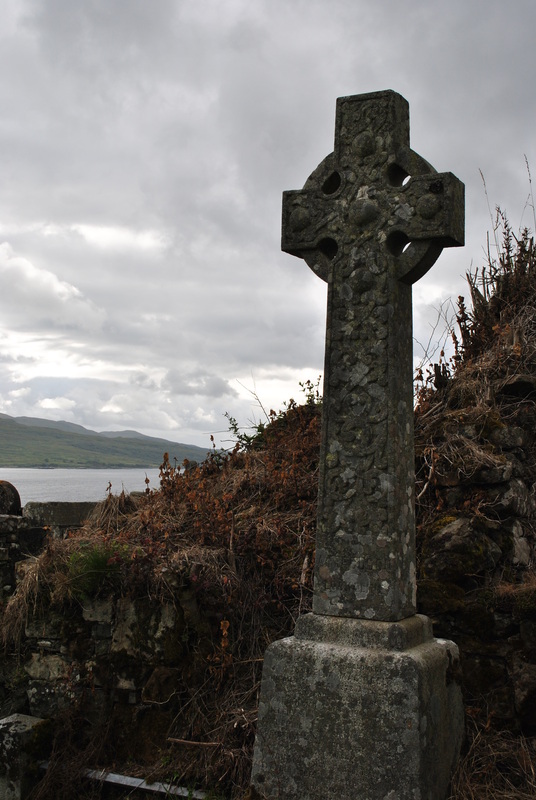 The picturesque remains of a medieval church on the graveyard of Cill Choluimchille, Lochaline, Morvern, Scotland. The Clanranald banner was also retrieved from Culloden and returned to Moidart. Thanks for your contribution. 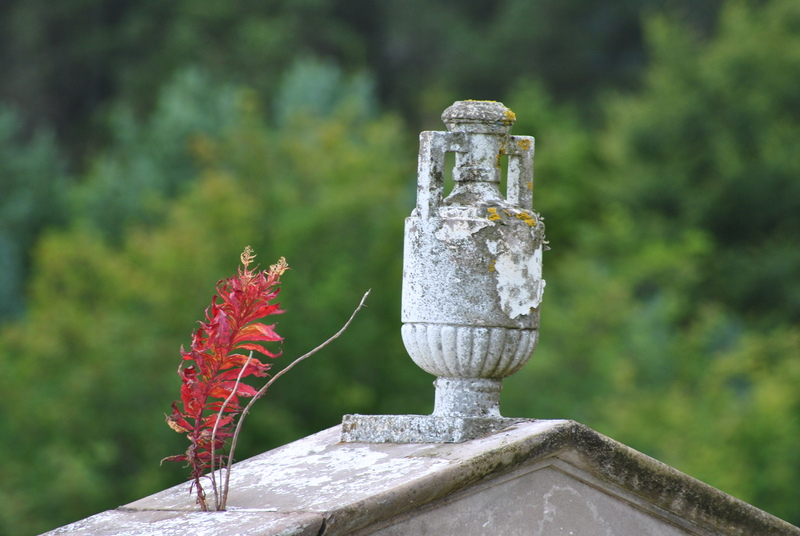 Do you know where it is kept today?